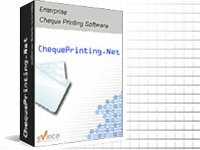 The outlook of Payment Voucher can be customized to fit your business needs. In menu "Settings", choose "Payment Voucher". Header - Letter head of the Payment Voucher. You can add your company logo or specify a top margin for pre-printed letterhead. Footer - Footer can be set with Date, Page Number or custom entry. Font - You can choose specify the font and font size for the Payment Voucher.